The temperatures have cooled, but the sun is still shining brightly in St. Louis…it’s a great time to put your foot to the pedal…and get out on your bike in downtown St. Louis! Saturday, October 9 is Pedal the Cause, a 25- or 60-mile race around St. Louis to provide and direct net funding for cancer research, cancer discovery grants and clinical translational care on best ideas not currently eligible for federal funds. Funding from the race benefits Siteman Cancer Center, Barnes-Jewish Hospital, Washington University School of Medicine and St. Louis Children’s Hospital. Races start at 8 a.m. at Soldiers’ Memorial (click here to view a map of the course). Saturday is also the final day of Open Streets, a free community event sponsored by Boeing and the City of St. Louis, in partnership with Anthem Blue Cross Blue Shield and Healthlink. 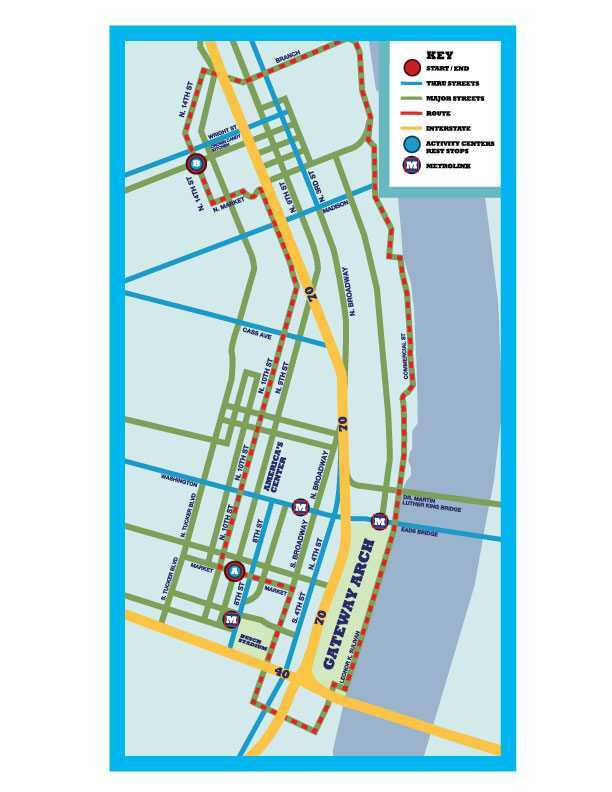 Participants are free to bike, run, or dance the 7-mile loop from the Gateway Arch grounds, to Citygarden up to 14th street in Old North St. Louis. Beginning at 11am, Anthem Blue Cross Blue Shield joins RadioDisney at 9th and Market to host kids games, fun exercise activities, contests, and free giveaways. Have fun biking St. Louis!